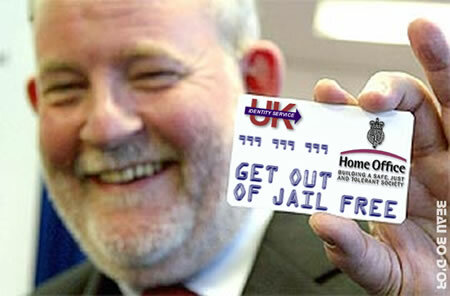 Anorak News | Identity Card: Bennett Arron Is Charles Clarke? Identity Card: Bennett Arron Is Charles Clarke? The matter in question is, as the Times reports: “It seemed like a good idea at the time: a comedian tried to steal the identity of the Home Secretary in a stunt for a television show. “Bennett Arron obtained a birth certificate and driving licence in the name of Charles Clarke in March last year, when the MP was in charge at the Home Office and pressing for the introduction of ID cards to combat terrorism and fraud. Clarke sees this as evidence to support his plan for ID cards. These are cards that will show the world that you are whom you say are.